Valmiera is a city of about 28,000 people located 100 kilometers to the northeast of the Latvian capital of Riga and 50 kilometers south of the Estonian border. 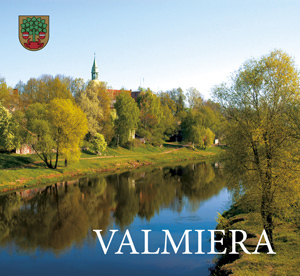 Valmiera was founded in 1224 and is the largest city and cultural epicenter of the Vidzeme region. Valmiera is home to a Latvian Olympic center which is appropriate for a town that has produced more than its fair share of Olympians. Valmiera is home to 1932 race walking silver medalist Janis Dalins, and more recently 2008 BMX gold medalist Maris Strombergs who became the sports first ever Olympic champion. By plane: The closest airport to Valmiera is Riga International airport, the biggest airport in Baltic region which is situated 13 km southwest of Riga city. By car: The roads A2 and A3 cover the 110 km that lie in between Riga and Valmiera. By bus: Aproximately 20 buses per day go from Riga direcly to Valmiera bus station. Travel time - 2 hours. (web: www.autoosta.lv).